No score and two years ago, writer Seth Grahame-Smith brought forth on this continent a record. It discussed the brave soldiers of this great nation engaged in an escalating war. Not a war between the North & the South as history records but a secret war between humans and vampires. Some may know that record as the novel, Abraham Lincoln: Vampire Hunter. A year later, filming began for this big screen adaptation. Now that the day of the secret life of the 16th United States President is being unveiled, is it worth your time? Vampire Hunter starts with Abraham Lincoln as a young child. After an altercation causes Mr. Lincoln (Abe’s father) to lose his job, the future president watches as his mother is attacked and subsequently dies by a vampire attack. Embittered and vengeful, an older Abe Lincoln (Benjamin Walker) goes to confront the vampire who killed his mother. When the confrontation goes wrong, he is aided by Henry Sturgess (Dominic Cooper), an expert vampire hunter who takes Lincoln under his wing in the art of vampire hunting. As Lincoln’s political influence grows overtime, he’s faced with decisions; each with their own far reaching consequences. 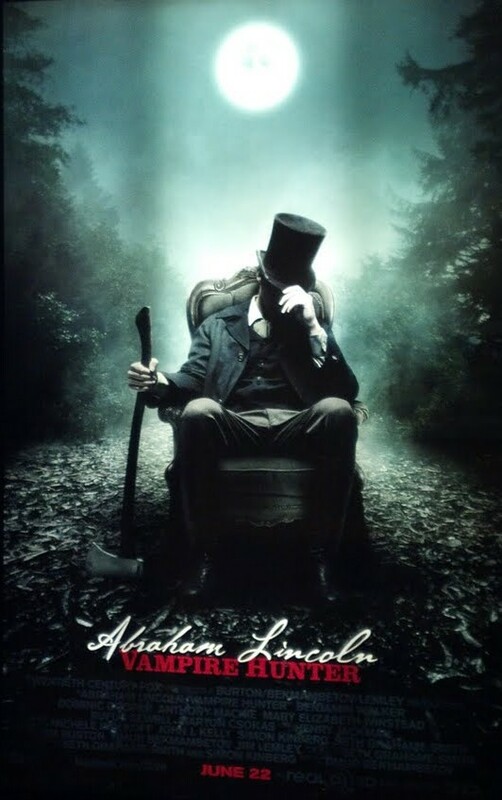 The key thing to remember about this movie is that the movie’s premise explores the premise of Abraham Lincoln as a vampire hunter. Based on that premise, it could only be either a tongue-in-cheek movie toward the preposterousness of the idea or a serious action fantasy mingled with history. Being more of the latter, this movie struggles at first to get find its right pace. Some parts were rushed, some were a bit drawn out. However, as Lincoln starts to gain political momentum, it’s interesting to see how the plot integrates the supernatural with the historical. In addition to a few jokes referencing Lincoln well known characteristics, what was interesting about the movie was that there were times when the movie served as a visual parable for the fight against the ugliness of racism. Sometimes literal, using historical elements as the Underground Railroad as well as Mr. Lincoln, who is known for taking a stand against slavery. Lincoln’s fight against vampires could also be figurative of fighting the racists, as some would describe racism as turning men into monsters. Benjamin Walker does a great job of playing Honest Abe. He seems to capture the essence and integrity of Lincoln while not losing the determination of killing vampires. Besides great performances from Dominic Cooper & Anthony Mackie as Lincoln’s long time friend, Will Johnson, much of the acting was pretty lackluster for the most part. Amidst the fog, Mary Elizabeth Winstead had a few moments in which she really nailed the emotion of Mary Todd Lincoln. Despite its issues, Vampire Hunter maintains the look of the 1800’s. The settings and costumes look straight out of a history book & the aging makeup for the main characters looked very realistic. If you see the movie, you would think Abraham Lincoln just walked off of the 5 dollar bill.